With the advent of green technologies, it is easy to view the battle against climate change as one for the tech world. A lesser-known but increasingly recognised solution lies in nature. According to a new scientific paper, the wetland ecosystems lying along the coasts of our oceans are particularly good at sequestering and storing carbon - and the world's governments should take full advantage of this potential through carbon finance and policy, writes IUCN's Dorothée Herr, the paper's co-author, on World Wetlands Day. Recent scientific advances have demonstrated that coastal wetlands - mangrove forests, tidal marshes and seagrass meadows - are incredible long-term carbon sinks, storing carbon in the plants themselves but more importantly in the soils below for hundreds to thousands of years. In fact, the same area of coastal wetlands can be more efficient as a carbon sink than most terrestrial forests. Every year more policy and decision makers invest in 'coastal blue carbon' by using wetland conservation and restoration as a natural solution to meet international greenhouse gas commitments. It appears that the answer is no. Coastal wetlands are truly unique among marine and coastal ecosystems in their ability to mitigate climate change - that is the conclusion of an analysis we published yesterday in Frontiers in Ecology and the Environment. Based on our understanding of how carbon moves through kelp forests, marine life and other marine ecosystems, it seems they cannot help us mitigate climate change in the way that coastal wetlands can. Kelp and marine wildlife are not long-term carbon sinks, only holding carbon for their lifespan which may be weeks to decades. Phytoplankton do represent a long-term carbon sink due to the sheer abundance of these small photosynthesising plants, but our ability to impact the amount of carbon they remove from the atmosphere is limited. And, as phytoplankton and marine wildlife are found in the open ocean, they are not easy for national governments to manage. We must of course not forget that these marine ecosystems play a vital role in the carbon cycle of the ocean overall. They also provide many other ecosystem services to people, including coastal protection, habitat, food security, biodiversity and tourism income, and we must do all we can to protect them. 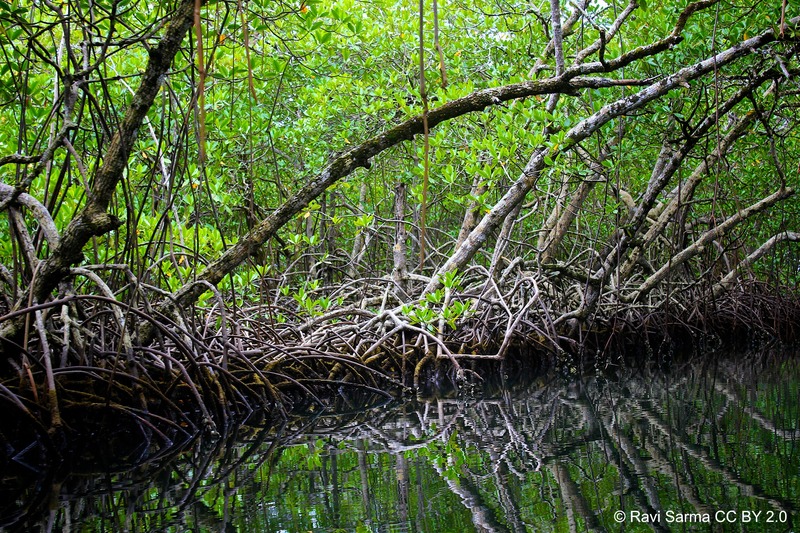 But our findings confirm that the climate change mitigation efforts of national governments should focus on coastal wetland ecosystems, which provide critical and manageable carbon sinks under existing climate policies and mechanisms. Policy makers should continue to access carbon finance and policies to better manage coastal blue carbon. The paper, "Clarifying the role of coastal and marine systems in climate mitigation", included contributions from the University of Maryland, Conservation International, IUCN, the National Center for Atmospheric Research, the Nature Conservancy, and Restore America's Estuaries.